Tuba Büyüküstün is nominated for Emmy Awards | Do You Know Turkey | Turkish Tv Series & Drama, Turkish celebrities, travel information about Turkey and Turkish cusine. Tuba Büyüküstün is nominated in the category of the best actress category for her role in the Turkish drama of 20 Dakika (20 Minutes). The series based on the original US series of ’20 Minutes’. Tuba Büyüküstün was playing as a young mother of two who children who runs a pastry shop and leads a happy life with her husband, a history teacher then her life turns upside down when she is arrested, convicted of murdering a young man and sentenced to life in prison. Her husband becomes obsessed with the idea of breaking her out of jail. The series was also shown in several other countries, including Hungary, Greece, Iran, Sweden, Russia and Italy. Tuba Büyüküstün will be completing with British actress Olivia Colman, Romina Gaetani of Argentina and Bianca Krijgsman of the Netherlands in Monday’s best actress nominations. It is announced by The International Academy of Television Arts & Sciences that there will be 40 nominees from 19 countries and they will be competing in 10 different categories. The awards will be presented on 24th of November 2014 at Hilton New York Hotel. The International Academy of Television Arts & Sciences announced that 40 nominees from 19 countries will be competing in 10 categories for the International Emmys, established to honor excellence in TV programming outside the US. The awards will be presented Nov. 24 at the Hilton New York Hotel. 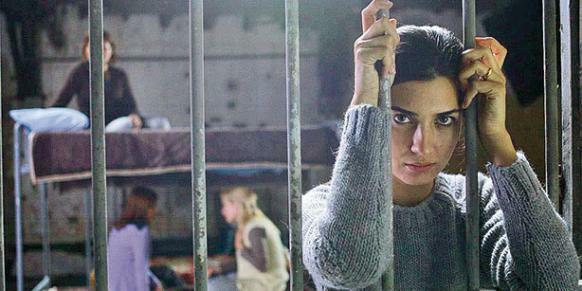 If Tuba Büyüküstün will be awarded for the best actress prize, this will be a major success of her career. Currently she is playing in the new Turkish drama of Kara Para Aşk (Dirty Money and Love), the critics are highly positive. With her performance it is said that she will be nominated next years awards too.